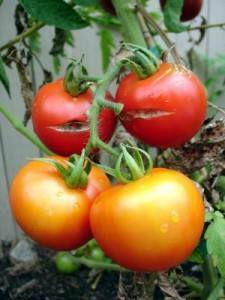 Having problems with your hydroponics garden? Try our nifty, user-friendly hydroponics resource: a troubleshooting guide to help quickly diagnose and treat whatever ails it. Why is our guide so easy to use? Just look up your problem by the "main symptom", and you're on your way to the solution! First we review the "Big Picture" for possible obvious problems, the we take you to the Troubleshooting Tool. FIRST CHECK THE "BIG PICTURE"
Are you using HID lights? (Fluorescents and most LEDs will not support fruiting/flowering). Is the lamp too close or not close enough? Check proper light distance here. Check the reservoir. What temp is the grow juice? Should be below 85°; under 80° is optimal. Check the ph and concentration. Is there enough solution, or is the pump sucking air during cycles? If you suspect any feeding/watering problems, drain the reservoir and start a new batch of nutrient solution. Keep in mind that plant problems are seldom straightforward, and it’s too often the case that opposites (like under- and over-watering or feeding) can produce similar symptoms. We all have to put on our Sherlock Holmes hat when it come to diagnosing our plants! Have you found any insects in your garden (crawling, flying)? Identify and treat them by visiting our Pests Page. White "salt crystals" or residue on top of the growing medium= salt and mineral buildup. [Flush the pots well with clean water]. Nutrient imbalance (check that ph not too alkaline); overwatering; Any whiteflies around? Note: yellow leaves are normal when the crop reaches end of life. Time to uproot and start over. Leaf Drop: Sudden temperature change/shock (like when setting out new seedlings); cold wind/dry air; overwatering. Could also be mealybugs or whiteflies. 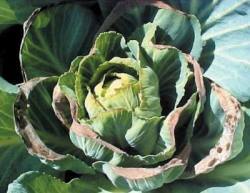 Tips of leaves are brown: Nutrient too strong [flush with clean water and mix a new batch]. Hot dry air can also burn. Blossoms drop: climate problems (too hot; improper light; too humid or too dry; overwatering; Make sure there is a 10° temp drop at night when the lights go out. Blossoms not getting pollinated. Fruit drop: (Fruit yellows and dries up while still small): Poor nutrition [check nutrient solution]; light too low or wrong kind of lighting. (Also called "Catfacing"): Overall temp too low; insufficient day-night temp drop; poor pollination; light too low; humidity too high. If on both small and large fruits= calcium deficiency [mix new batch of nutrient]. If on only the large fruits: too dry [increase irrigation]. Seedlings grow very tall and spindly: Not enough light. You would think it would be the opposite, but it's not. When the light is too dim or too far from the seedlings, they strain towards the light, making them almost unusable for transplanting. Give your seedlings strong and close lighting if you want stocky, sturdy baby plants. Bolting of lettuce, broccoli, radishes: (they bolt to flowers and seeds). Bolting of winter crops is caused by too warm of temperatures (they figure it's spring, and time to make flowers!) Make sure these plants get plenty of light in their early growth stages, and then keep them cool closer to harvest. 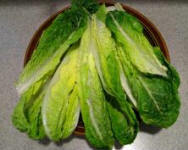 Home grown lettuce is often too limp to go right from harvest to salad bowl. How to crisp it up? Wash in cold water, shake gently and refrigerate in a plastic bag for an hour before dinner. ASK FOR HELP AT THE HYDRO FORUMS!